March 5, 1945: The U.S. Ninth Army reaches the Rhine River south of Düsseldorf, Germany. — Nearly 65 years ago a group of American soldiers advancing through Germany came upon a train loaded with 2,500 starving Jewish prisoners. For Frank Towers, who was serving as the liaison officer in the 30th Infantry Division, the day he organized a convoy to take those people to freedom was just another day in the war. But several years ago, some of the Holocaust survivors, who were only children at the time, began contacting their liberators through the Internet. That was the beginning of a new focus at the 30th Infantry Division’s annual reunion, with survivors joining the veterans and telling their stories. At this year’s reunion in Nashville, Towers is reuniting with four of the people he rescued from that train. “We had read in Stars and Stripes about Jewish slave labor camps, but this was the first group we encountered,” the 92-year-old said in an interview at the reunion on Friday. “It was really beyond our imagination that any sector of the human race could do to these people what had happened.” Micha Tomkiewicz is now 70 and a professor of Physics and Environmental Studies at Brooklyn College in New York City. He was only five on April 13, 1945, when he was liberated. His memories of the Bergen-Belsen concentration camp, where he had been held until the Nazis tried to evacuate him and the others to prevent their liberation, are few. One memory is of the rats, he said, and the time he woke up the whole barracks screaming that they were eating him. Although he knew he had been liberated by the American Army, he said, “throughout my life, they were always an abstract concept. Now suddenly they’ve got shape, voice, life.” “I just wanted to find the opportunity to really, really thank these guys,” he said. George Somjen, now 80 and a retired professor of Neurophysiology at Duke University, was 15 at the liberation, and remembers it better. “We were, of course, terribly happy,” he said, “but in that extremely emaciated state (I had lost 30 to 40 percent of my body weight), one has a very limited emotional scale. One doesn’t feel much except, ‘I am hungry.’ ‘I am thirsty.’ ‘I hurt.”‘ “For many years I never thought about this,” he said. Then, a few years ago he read a newspaper article that featured a fellow survivor and came to hear of the reunions. On Friday, while giving a presentation on his experiences, he recalled a 1997 trip to Germany where he revisited the town of Hillersleben, where the Americans first housed the survivors after they were taken from the train. His voice cracked as he told the group that his father, who had been with him on the train, died there, several days after the liberation. Tomkiewicz, Somjen and the other survivors would likely never have met their liberators if it hadn’t been for a high school history project. Several years ago, Hudson Falls (N.Y.) High School history teacher Matthew Rozell asked his students to collect the oral histories of local WWII veterans. Since those stories and pictures first went on the Internet, about 100 survivors who were on the train near Magdeburg and now live all over the world have contacted him and Towers. “It’s immensely satisfying to know that 65 years ago I had some part to play in the liberation … of these people and in setting them up on the road to a new life,” Towers said. I was glad to see this very informative article in your paper. I hope that many in the local Jewish Community see this article. 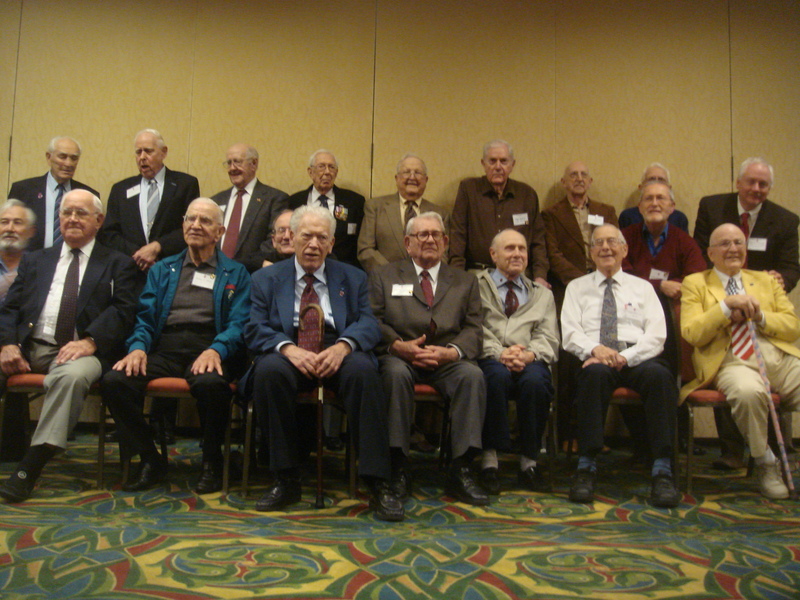 Thanks for interviewing all of us at this very memorable reunion.